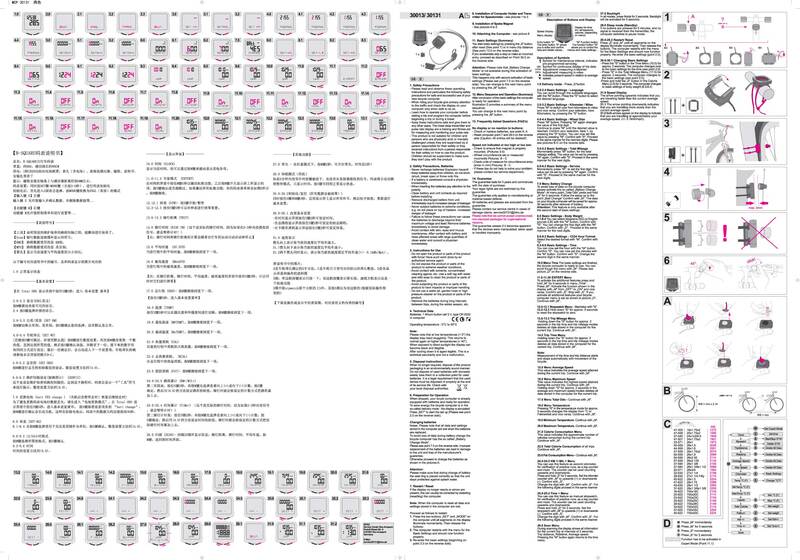 The large table on this page has links to user instructions for most cyclecomputer and GPS models. This list includes GPS units including wristwatches which do not map routes, but have bicycling-specific features (cadence-sensor pairing, swim/cycle/run selection for triathlon use). We have worked hard to make this list complete, but information on some older models is unavailable; also, new models appear from time to time. Only the major manufacturers tend to place owner's manuals online. Many bicycle computers are rebranded. Look for similarities in appearance and function when trying instructions for a computer not on our list. A Web search on the make and model, plus "manual" or "instructions" sometimes turns up information posted by an owner. Old versions of manufacturers' Web sites preserved on the Internet Archive may list older models. Our contact information is at the bottom of this page. If you can provide information, or correct an error, please do. Here is one style of cycle computer which is sold under so many brand names that we quit trying to list them all. They are rebranded Sunding. D: Wheel radius in mm (measure circumference and divide by 3.14). E: Wheel circumference in mm/1.609344 (There are 1.609344 kilometers in a mile). GPS: Uses GPS satellite data. Assize AS408, AS506, AS520, AS800, AS814, AS888, AS900, AS1000, AS2000, AS4000, AS5000 F, or ? Bryton -- Available in Europe and elsewhere but as of 2016 not in the USA. 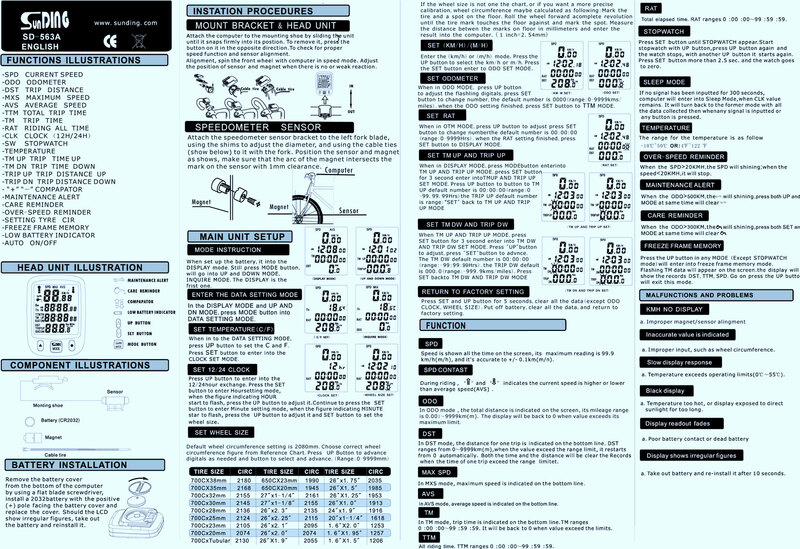 Manuals in several languages and quick-start guides on this page. GPS Satcount+ GPS and optionally automatic? (Android instructions and apps for some computers on Cateye's US support page. Many also in other languages on Cateye's international page. Garmin Choose Sports & Fitness, category and model number here. 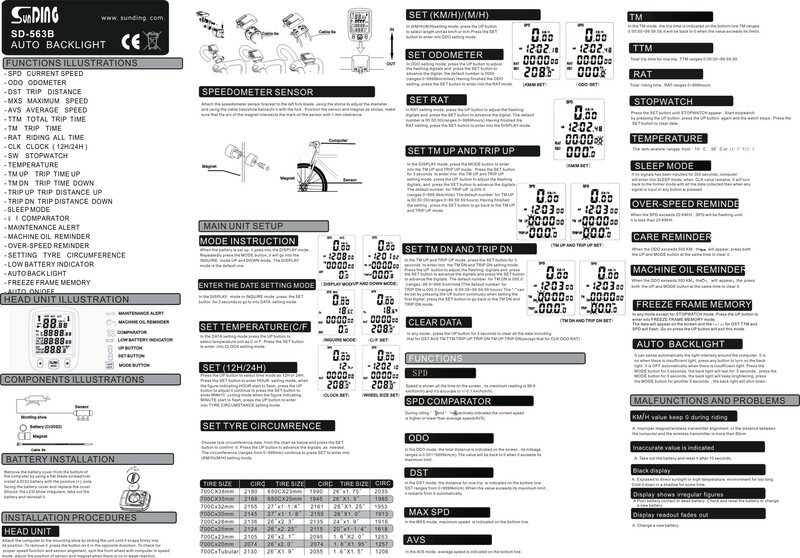 Manuals are available in several languages. 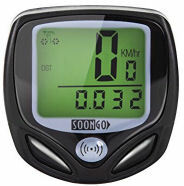 Speed sensors (when available and installed) of some models are automatically set by GPS; others, manually. eLECT Coach (also a controller for electrical adjustment of suspension etc.) GPS from smartphone, probably F with sensor. Raleigh -- for Mio GPS units see Mio. RSP 8,RSP 16, RSP 22 No info! Instructions in additional languages, and video instructions for some models, are on the Sigma Web site; search on model name here. Sigma changes filenames for manuals, so look on the table of contents page if a link has broken. Model names are given in numerical rather than alphabetical order here, as model names for different computers can be similar. If in doubt, check the picture of the computer on the Sigma site. If an early Sigma computer has no setting for miles, use the setting for kilometers/1.609344 and the reading will be in miles. See comment at top of page. This brand is no longer made, but we have manuals! We would like to thank those who helped with updates and error-spotting, including Miha Ambroz, Badarka *at* aol.com, DaveM10 *at* aol.com, Richard Drdul, Peter Epstein, John Everett, William Fallon, Rich Kim, Steve Marshall, Doug Milliken, Richard Nelson, Dave Poleshuck, Liam Relihan, Cliff Schlueter, Rich Shapiro, Emil Sit, Steven Sheffield, Adam Spiers, Rick Teichler, Jack Tingle, Kris Vlæminck, and Desmond Walsh.